Spanning from 1947 to the present day Christian Dior: Designer of Dreams will open at the V&A in February 2019 to trace the history and impact of one of the 20th century’s most influential couturiers. The exhibition will present over 500 objects with over 200 rare haute couture garments shown alongside accessories, fashion photography, film, perfume, make-up, illustrations, magazines, and Christian Dior’s personal possessions. The exhibition follows Christian Dior: Couturier du Rêve organised by the Musée des Arts Décoratifs in Paris. However a new new section will explore the designer’s fascination with British culture from country houses and gardens to Savile Row suits to ocean liners like the Queen Mary. A particular treasure on show will be a dress made for Princess Margaret for her 21st birthday celebrations on loan from the Museum of London. The exhibition will also bring to life Dior’s spectacular fashion shows staged in the UK’s most luxurious stately homes, including Blenheim Palace in 1954. Dior’s vision of femininity will be shown through garments, accessories and fragrances. Flowers are emblematic of the Couture House and have inspired silhouettes, embroidery and prints but also the launch of Miss Dior in 1947, the first fragrance created alongside the very first show. 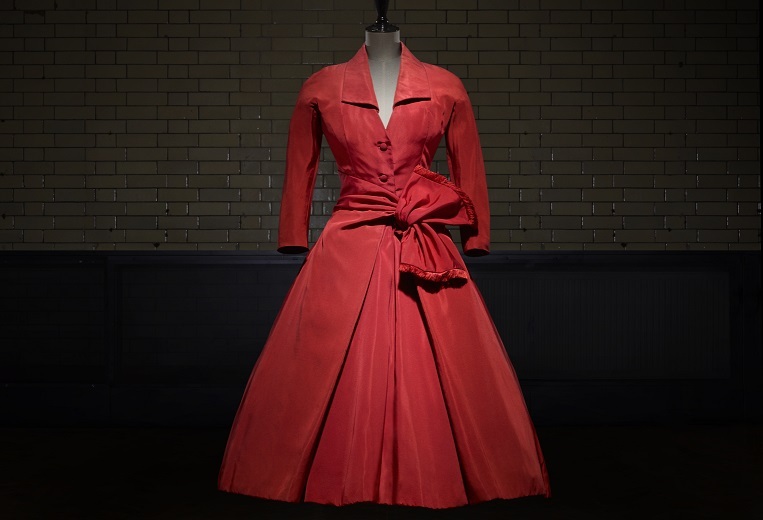 “In 1947, Christian Dior changed the face of fashion with his ‘New Look’, which redefined the female silhouette and reinvigorated the post-War Parisian fashion industry,” said Oriole Cullen, Fashion and Textiles Curator at the V&A.